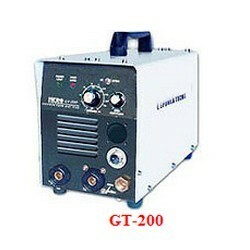 Manufacturer of Various Welding Machines, such as Laser Welder, Seam Welder and so on. Low Power Consumption, Compact Size, Lightweight; Excellent Ignition, Stable Arc, Rapid Response; Uniform Weld Bead And Penetration Excellent Performance For TIG Welding; Soft/Hard Arc Selection, Pulse Function . Used in such fields as stainless steel, carbon steel, alloy steel, copper, titanium and so on. Widely used in such fields as equipment making, pattern machining, automobile fixing, pipi-ng machining and so on.